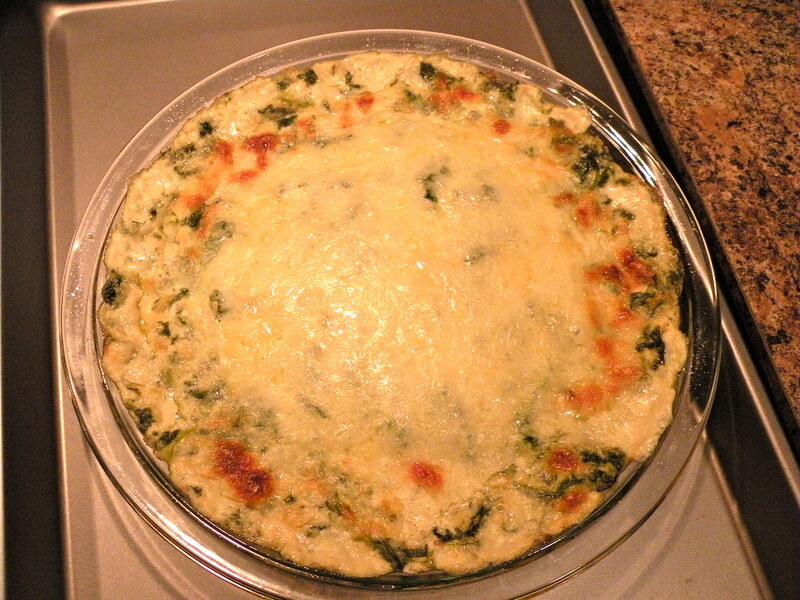 you could use the base and make a seafood dip substituting the spinach for crab meat, lobster pieces and shrimp. i’ll have to try that next! in a medium bowl, mix together all ingredients together well, reserving 1/2 c grated mozzarella cheese for the top. spread in a 8″ pie dish, top with remaining mozzarella. bake for 30 min. or until brown and bubbly.